Your home is an extension of your personality. The way it looks should reflect what you love, and awnings are one way to do that. There are more than enough choices in materials and colors to suit everyone. Window Works carries dozens of awning styles. Whether you need a protective awning for your patio or an eye-catcher to draw customers to your business, we have a style that will work for you. Your awning’s location will determine what style you need. A patio awning should look and feel different from one placed over small windows or a door. Additionally, some awning colors and fabrics naturally look better outdoors than indoors. For example, the “bistro style kitchen” awning is a large overhang perfect for outdoor patios or pool areas. It’s often striped in the style of old-fashioned café awnings and comes in colors such as green, red, and gray. When choosing your awning style, consider where you live as well. If you live near the beach, colors such as ocean blue, sunset orange, or lemon yellow evoke a summery feel. If you live in a colder climate, consider a bright red, pink, or orange awning to brighten your home or business. This will send the message that your location is a place of welcome and refuge even when the weather is inhospitable. Finally, the weather may influence the awning style you choose. Smaller, less durable awnings are fine if you live in a temperate area. However, many climates deal with severe thunderstorms, high winds, and heavy snow. In these cases, your awning needs to protect you and your building at all times. Ask Window Works about our protection features, such as nylon coating and strong, heavy frameworks for retractable models. When and where will you use this awning—and what awning types match your lifestyle? Large Retractable Awnings, for instance, may not convey you’re an introvert who likes privacy after work. A small but stylish window awning in a color like blue, sea green, or dark purple will help convey this message. Tiny window awnings won’t protect your furniture or family members if many of your rooms face the sun. For that, you’ll need larger awnings that can cover picture windows. 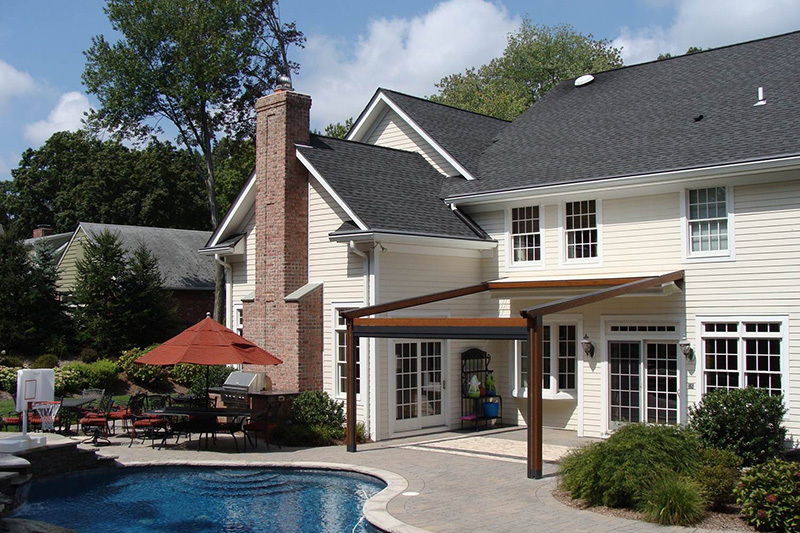 If your family is outdoorsy and active, a retractable awning is a great choice. It provides plenty of shade and shelter; our awnings can shade up to 475 square feet. Additionally, since you can raise and lower retractable awnings easily, everyone can get the exact amount of sun or breeze he or she would like. Stationary Awnings might be best if you spend most of your time indoors or if you work outside for large chunks of time. Let’s say you’re a writer who likes to work on your manuscript outside. You can mount a stationary awning in the exact spot that’s most likely to receive the sun’s glare. That way, you can work as long as you need to without getting fatigue or headaches because the sun is in your eyes. Window Works offers a variety of awning styles. Contact us any time; we’re happy to help you choose one. CLICK HERE TO EXPLORE ALL OUR AWNING OPTIONS FOR YOUR HOME, PATIO, OR EVEN YOUR BUSINESS!